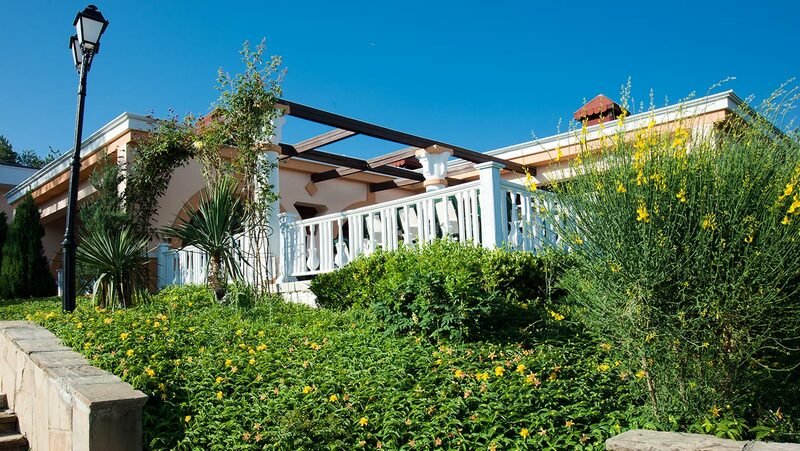 Sozopol Restaurant is an elegantly furnished and spacious main restaurant with various buffets, offering show cooking and different culinary sections. The pleasure of eating food and the healthy and balanced menus are successfully combined in all dishes. Enjoy the masterpieces of our chef under the sound of nice music in a cosy and stylish atmosphere! Here, we will give you an exotic culinary experience to satisfy even the most demanding taste! The restaurant has a beautiful open-air terrace with 920 seats under rich greenery and the aroma of roses plus an indoor area with 100 seats. 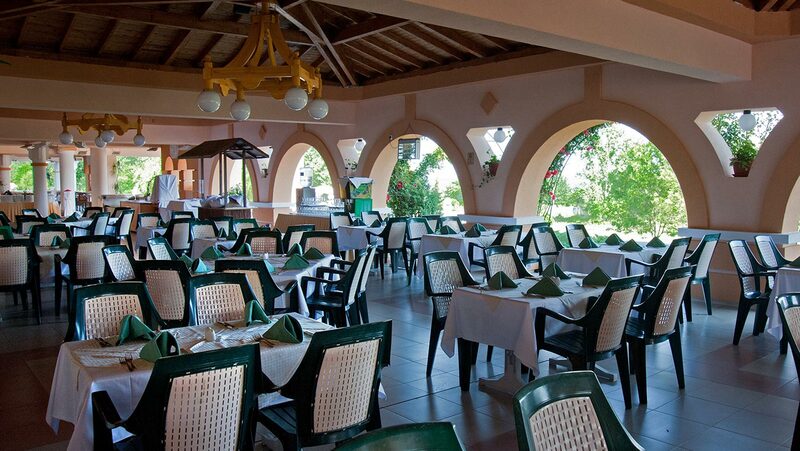 For the convenience of our guests, we offer also the two bars to the restaurant, which work during the meal time. The Tavern - Bulgarian A La Carte restaurant. 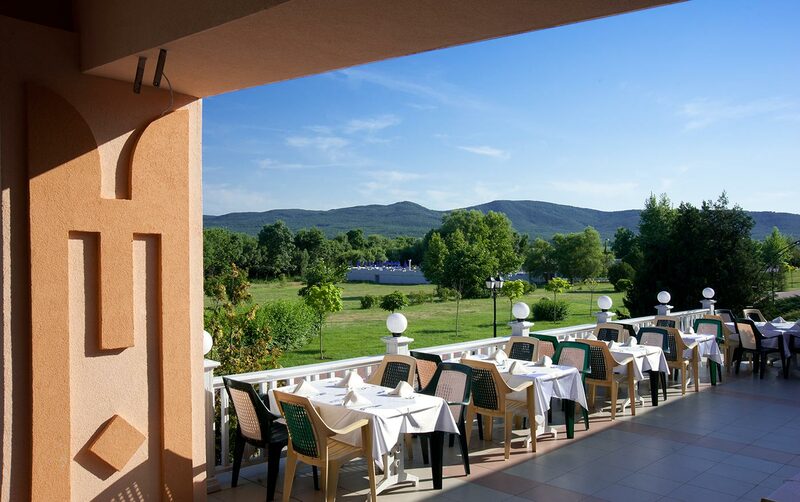 Here, you can taste original Bulgarian cuisine, traditional dishes and specialties for this region, part of which are prpeared right in front of your eyes while you enjoy your mug of beer or bottle of quality wine. The wide variety of selected wines from all regions of Bulgaria will contribute additionally to your satisfaction and choice. Do not miss to visit and enjoy these typical Bulgarian specialties in traditional atmosphere and join the traditional Bulgarian chain dance with our staff! The restaurant has 80 seats in a spacious and lit main hall with additional area to the restaurant plus 40 seats on the open-air terrace opening marvelous view from higher ground. The restaurant is open 6 days a week from 06:30 PM - 10.30 PM. Every guest may visit it once per week within its overall stay upon reservation made the day before. to be sure you will not get bored or if you need more fun than rest, we offer you to visit our Wunder Bar located within immediate proximity to the Amphitheatre in the complex. The suitable lighting and its modern interior, combined with nice music, will make you stay awake until the early hours of the day. It attracts its guests for both its rich night entertainment program and its live performances. The eccentric atmosphere is successfully combined with the modern accents, creative style and feeling of luxury, warmth and comfort. Its summer garden is the perfect place to enjoy the fragrance of the air with a cup of coffee or other refreshment or try something from our rich menu of classic cocktails. You can use any of the 55 seats inside and the 300 seats in the garden. From 04.00 PM to 05.00 PM, we will charm you with amazing sweets and snacks for your afternoon coffee. 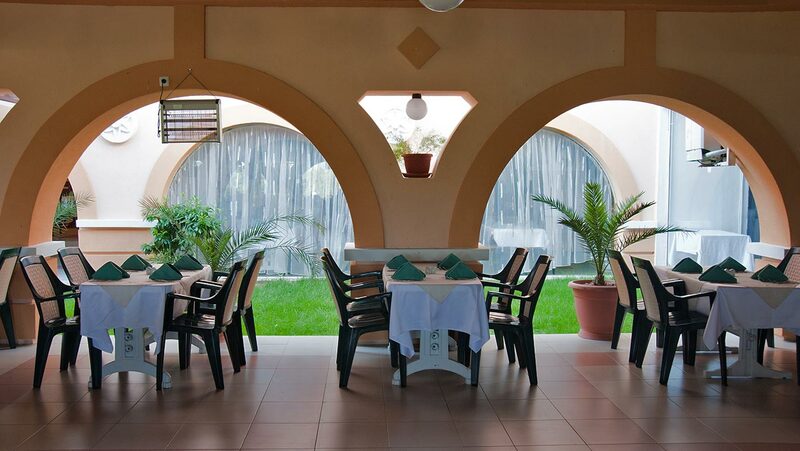 is an island of peace, comfort and elegance in combination with exquisite menu of various beverages. There is not e better way to spend the summer day than enjoying the summer weather relaxing around the swimming pool with your favorite drink! Try the refreshing cocktails and drinks in a friendly atmosphere with a view to the numerous swimming pools and water attractions. The pool bar offers multicolor choice of cocktails, starters, frappe, beer and many refreshing and hot drinks. There are 40 seats situated in the zone around the bar. We offer tasty sandwiches made right in front of you every day from 11.30 AM to 06.00 PM. This an excellent place to go on deep into the night! Irrespective of whether you will enjoy a quality drink, seated in a comfortable box, or will prefer dancing around the bar, good mood and positive emotions are guaranteed. Presence, motion, rhythm, modern positive spirit... Every night here is unique with its multiple emotions. One spontaneous and unforgettable experience with quality drinks and captivating passion for music – this is only a minor detail from the hospitality of this nightclub. The discotheque is equipped with state-of-the-art sound and lighting systems and special effects. It may invite up to 100 guests in seats located in boxes of interests – boxes of low tables, areas with higher tables or stools at the bar. This is the place where you can recover your strength and recharge after a tiring game of tennis with a bottle of water or refreshing energy drink. From the active training with the people, who you love, to the satisfaction, which you will feel, and the memories, which you will keep, spend the end of the day with a glass of fresh fruit drink. There are 20 seats, which the guests may use to have a rest.